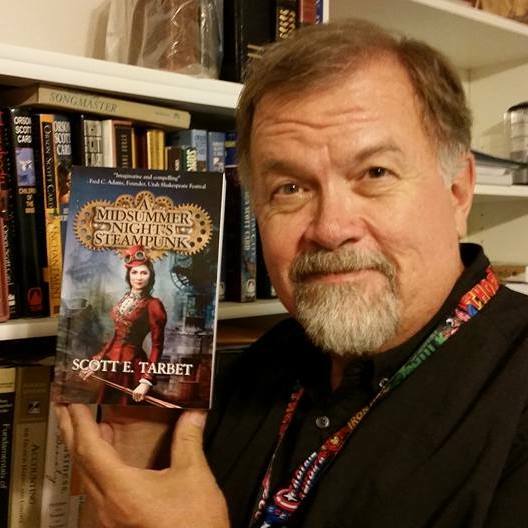 Scott E. Tarbet is an award-winning author of science fiction, paranormal, and steampunk. If that’s not enough to garner your interest, he’s also a professional opera singer. I’m going to let you re-read that, because I certainly had to. It’s not every day that you meet someone with an affinity for space ships and musical theater. I had to know more, so I convinced (read: begged) Scott to divulge more tidbits for Zeedub Bezzies. What process did you go through to get published? My first piece to see paid print was a novella written in response to a call for submissions to a paranormal anthology. It was the story of an old Texas farmer who is murdered by his money-grubbing descendants but refuses to go give up his land just because he’s dead. After more accepted short-form pieces, I pitched a steampunk novel idea, then another novel and another and another, along with an ongoing flow of short fiction. Moral of the story: getting your foot in the door is the hardest part. Have you ever destroyed any of your drafts? No, but I have filed a few away forever. I have deleted some long passages, though, when people started doing things and stuff started happening that shouldn’t, and it couldn’t be fixed without clobbering the concept. My editor, Penny Freeman at Xchyler Publishing, AKA She Whose Name Shall Be Praised, once convinced me that a character I had written in to be a deliberate burr under the protagonist’s blanket (the college girlfriend you love to hate) was a drag on the plot and had to go. “She is using up word count that you need for other things.” After I considered it for days, I eliminated her. The novel went on to win awards, so Penny was clearly correct. Moral: find a good editor, then listen carefully. How do you deal with emotional impact of a book on yourself as you are writing the story? I cry. A lot. No, seriously. My latest WIP, just sent to editing, is super emotional. The final read-through-aloud had my wife and me both choked up in all the right places. Different projects obviously don’t have that kind of emotionality. Tell us about the process of coming up with the cover. Usually not much to talk about, because the publisher takes care of it, and only allows me to look at the final product and nod or scream bloody murder. I have always been thrilled. They hire good talent. With the latest WIP, being for a very narrow niche market, I contracted directly with the wonderful artist who did another of my covers. I have been working with her slowly, over months, sending her written character sketches, and she has been developing four characters from my notes. It is a little more spendy–a lot more, since I haven’t had to pay before–but very satisfying artistically and emotionally. The first one that comes to mind is being too in love with one’s own words. Many aspiring writers learn slowly, or not at all, from failures and negative input. It’s not enough to like what you write: others have to as well. Not only that, they have to be willing to pay for it. I was asked recently to look at the manuscript of a well-known blogger’s first attempt at a novel, with an eye to heavy editing/ghost-writing. I knew in advance it was going to be a bumpy ride, but the paycheck was very attractive. So I redid his first chapter to salable standards, and got back exactly what I had expected: his “voice” had been lost. (Dang straight.) But my name on a cover is my brand. Without changes of the magnitude I wrote in I could not diminish my own work’s value. We agreed to part as friends. 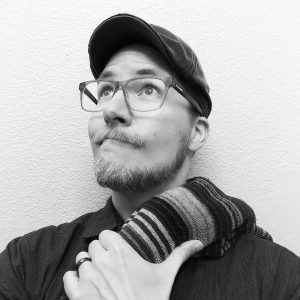 Are you friends with other writers? Lots and lots. Hundreds on Facebook, Twitter, etc., dozens in real life. The close ones I give real, straight-from-the-shoulder advice and feedback, and receive the same in return. Writers, of course, tend towards introspection. I’m no different. I make friends much more easily with people who share the same hopes and struggles. Is there a genre you absolutely despise, or are written pieces all pieces of art and demand to be respected equally? Pulp romance. Can’t abide it. I love genuine love and romance far too much to subsidize cheap, formulaic bodice ripping. Is there lots to do before you dive in and start writing the story? Ooooh yeah! I believe in thorough preparation. My outlines themselves run dozens of pages. For every character who is significant enough to receive a name, I know (and write out at length) what they want, what and who is stopping them from getting it, and how those conflicts will develop and be resolved. All that in addition to their physical characteristics, relationships, and backstories. I then outline a loose three act structure, with a complete list of scenes and their objectives. Then the writing starts. Pretty soon the characters start telling me where the outline was wrong, so I go back and fix it, and keep it up to date all the way through the writing process. That’s the only way I can keep the pacing and structure right. You bet. Maybe someday that correspondence will grow to the point I won’t enjoy it all, but for now I’m glad to hear from anyone who likes my stuff or has questions. Did you have a lot of differences with your editors in the beginning while you were still becoming used to getting your work edited? At one point in the editing of my first novel Penny sent back a set of edits with a note that said, “I’m not going to respond to anything you send back for forty-eight hours, so you can cool down before you answer.” She was 100% correct, both about the big edit and about me needing to think about it carefully before responding. As I said earlier, beginning writers have thought a lot about their words, and have strung them together that way because they love them. It’s tough to let go and learn new craft, but learning how to learn eases the process. I hope I never stop learning.